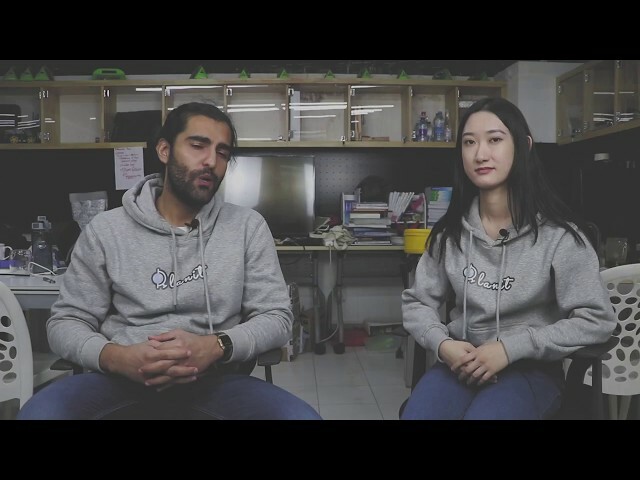 Planit is a social startup that aims to accelerate the speed of recycling in China. With our solution, citizens will be a responsible participant in protecting the environment and be rewarded for it. We are doing this because when we look at trash, we regard it as a displaced resource. On one hand, people throw away all kinds of unwanted things, treating them all as waste, while they are actually not. On the other hand, There are 6 million informal recyclable collectors, also known in China as “Hui Shou Gong (HSG)”, 200,000 of them are in Beijing. They spend a huge amount of time, looking for recyclables in disgusting and filthy trash bins, transporting them with their little carts, hoping to sell at a good price. Despite the abundance of recyclables, still the process is offline, unorganized, time-consuming, and above all, it neglects the participation of other groups in the community. Planit provides a cloud-based solid waste management platform which acts as a fast and reliable alternative to the old daunting process. Planit empowers HSG with geo-based information to locate well-sorted recyclables such as cardboard and plastics listed by community members and vendors. It then plans the most efficient route for multiple pickups, making their journey more productive. Finally, it helps HSG sell the collected recyclables only to certified Planit buyers. Planit adds value by saving time, increasing volume, and improving income. It also brings a digital incentive for people to identify and sort out their waste. In the future, Planit aims to create a public-private synergy to tackle the overall mismanagement of waste. The solution is led by a brilliant Tech team who specializes in AI, Machine learning and app development, while the startup is managed by an experienced management team who specializes in engineering management and Global business communication. Our team members come from various national and cultural backgrounds, and we are united in our passion for protecting our Planet. We are not only devoted to solving the issue in Beijing but also excited to export Planit solution back to our home countries. Our motto demonstrates our devotion to the cause - "There is no Plan B because there is no Planet B." We only have one planet to live on and the time for action is now.